Mercedes-Benz Malaysia has launched the GLC 300 Coupe 4Matic AMG Line, now locally-assembled (CKD) at the company’s vehicle assembly facility in Pekan, Pahang. 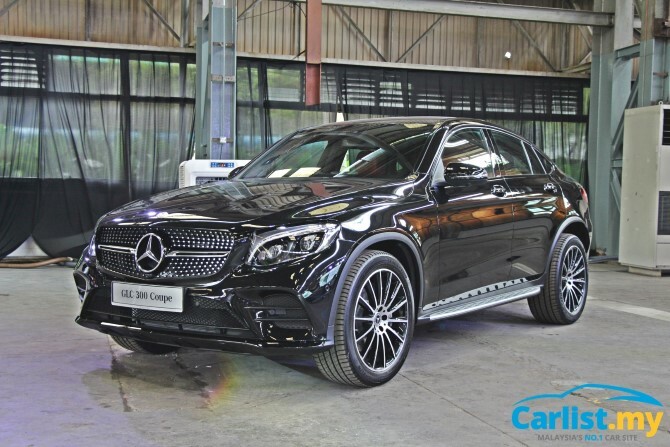 With a starting price of RM 399,888, the CKD GLC 300 Coupe supersedes the fully imported (CBU) from Germany (Bremen plant) GLC 250 Coupe, which used to sell for RM445,888. Interestingly, the GLC Coupe is identically priced to the recently updated E350 AMG Line, offering a sportier yet equally luxurious alternative to the traditional E-Class. Like any 300 series Mercedes-Benz variant, the GLC 300 Coupe is powered by a 2.0-litre turbocharged four-cylinder engine, this time tuned to produce 245 hp at 5,500 rpm and 370 Nm from 1,300 – 4,000 rpm. Acceleration from 0-100 km/h is done in 6.5 seconds. 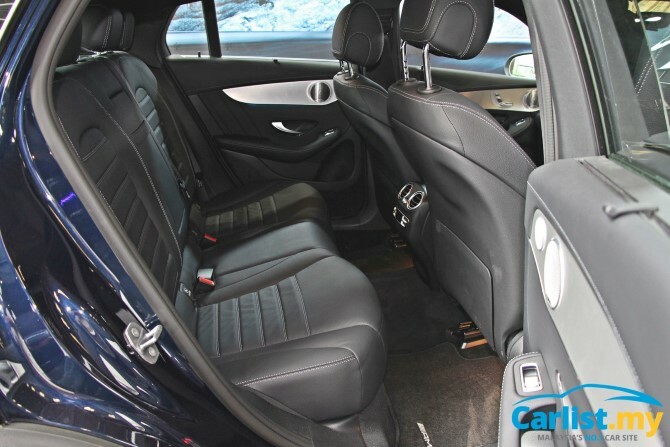 Power is transferred to all four wheels (4Matic) via a 9G-Tronic Plus torque converter automatic transmission. In case you are wondering, this is not the new GLC Coupe facelift, which has been announced for Europe but won’t go on sale there until later this year. Sales in markets outside of Europe is not expected to start until next year. However if we may add, we are not too keen on the new GLC Coupe’s styling, especially the new tail light’s light pattern. The model competes with the BMW X4, which is now in its second generation but the model won’t be launched in Malaysia until later this year. 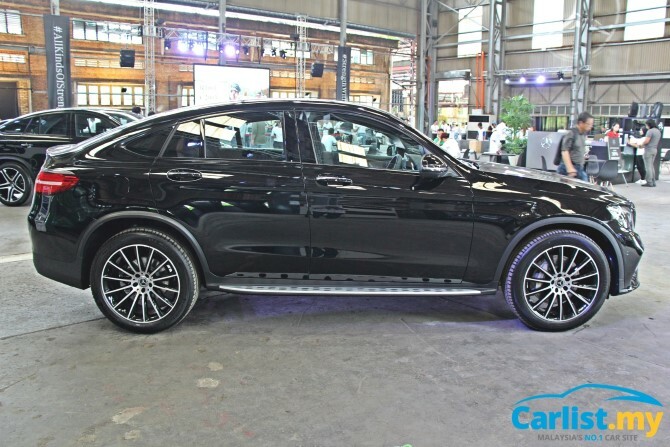 As an AMG Line variant, our local GLC 300 Coupe comes fitted with AMG front and rear bumpers, diamond pin grille, 20-inch alloy wheels, AMG steering wheel, aluminum pedals, and illuminated side sills.